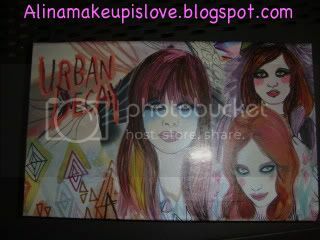 Urban Decay Show Pony Shadow Box! 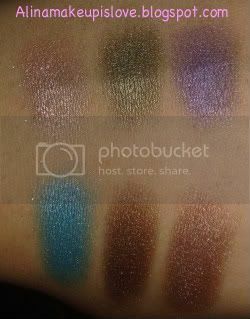 I hope y'all' snagged this eyeshadow palette from Urban Decay because it is gorgeous! I love the art on the box, it is so unique and different from other packaging I have seen in the past. 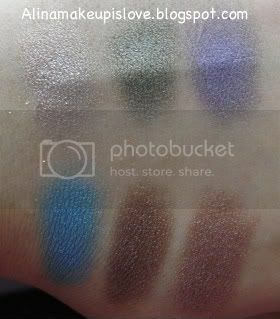 And must I say that the pigmentation is amazing (as usual with Urban Decay eye shadows). This is my third Urban Decay palette and I am loving them all so far. I like the fact that the colors work well together and you can come up with many different look combinations. 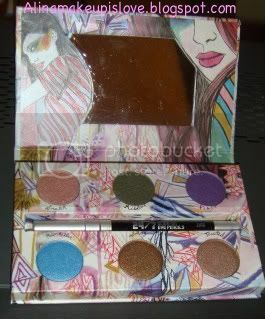 The Urban Decay Show Pony Box ($30.00) contains 6 beautiful eye shadows. Also, this palette comes with a mini 24/7 eyeliner pencil in Zero and a mini bottle of the famous eye shadow primer potion. Have any of you tried this super cute palette? Let me know! Cute colors! I don't own it.